SAN DIEGO — At lunch the other day, a friend — an old Marine who will soon turn 80 — informed me that originality is dead. At the intersection of politics and media, he has a point. The alarmist anti-Trump media likes to say that things have never been this bad. You know what’s bad? People’s memories. It’s Groundhog Day in America. It feels like we’ve been here before — even if neither party admits it. When a politician on your team comes up with an idea, we declare that no one has ever come up with anything this good. When a politician on the rival team does anything, we insist that no one has ever been this bad. For example, when reporting on a new trade deal with Canada and Mexico that looks a lot like the old trade deal with Canada and Mexico, why can’t reporters make that point — but then follow up by pointing out that repacking policy initiatives is hardly new. They could mention that President Barack Obama did the same thing when he essentially Xeroxed many of President George W. Bush’s policies for combating terrorism? In fact, federal judges would scratch their heads over the fact that — in defending domestic surveillance — the briefs from the Obama Justice Department so closely resembled those of the Bush Justice Department. And, if the claim is that Trump simply re-branded the North American Free Trade Agreement without changing much of the content, then why not mention that Obama did much the same thing when he scuttled the educational law, “No Child Left Behind” — and replaced it with his own educational initiative, “Race to the Top”? There wasn’t much of a difference. The former pushed accountability by threatening to close underperforming schools, while the latter pushed accountability by offering financial initiatives to over-performing ones. There wasn’t much of an outcry over that earlier sin against journalism. Why not? You know why not. How ironic that the passing of a beloved public servant, who was told by his mother not to brag about achievements, should give the whole country the chance to brag on him. As I watched the ceremonial send-off this week for former President George H.W. Bush, memory took me back to a chance encounter I had many years ago with someone who knew him well. But before I tell that story, let’s think for a minute about what matters and what doesn’t. Think about all the lovely things that have been said about the 41st president. Then think about the fact that this good man is considered — at least by one measuring stick — the least successful president in nearly 40 years. Ronald Reagan won two terms, as did three presidents who followed — Bill Clinton, George W. Bush, and Barack Obama. Not Bush 41. He was defeated for re-election by Clinton in 1992. He wasn’t good at telling his own story and bragging about what he had done right, like liberating Kuwait and deftly managing the end of the Cold War. He was raised to be humble and share credit. Clinton, Bush, and Obama were better at boasting. That’s what it takes to get re-elected. Bush 41 didn’t have it. Yet, the former president had more going for him than that. “George Herbert Walker Bush demonstrated the finest qualities of our nation, and of humankind,” said House Speaker Paul Ryan at a memorial service at the U.S. Capitol. According to the many testimonials, those qualities included love of family, sense of duty, and service to country. Also, he had an undying loyalty to his friends. Which brings me to the story of my encounter with one of Bush’s oldest friends. It happened in Phoenix in 1999. Back then, it was widely assumed that George W. Bush was planning to run for president. I was writing a metro column for the Arizona Republic, and my editor sent me to follow up on a rumor that the Texas governor had quietly crept into town for a high-priced fundraiser at a swanky hotel. I got to the hotel, and I tried to enter the building for a closer look. But I was turned away by Secret Service agents. Secret Service agents? For the governor of Texas? Then, I figured it out. George Bush was in town alright — but it was George H.W. Bush, a proud father raising money for his son’s presidential bid. I decided to hang around for a while to see if I could catch one of the attendees on the way out. I did. I noticed this dark-skinned elderly man in a simple suit coming out of the hotel, and I asked him if he had been at the fundraiser. He smiled, and said yes. I could tell he was Mexican-American, and he could probably tell the same about me. I asked his name, and he identified himself as Don Gaylien. Curious, I asked him how he had come to attend the event. Gaylien told me that former President Bush was his friend, and that the two had been friends for more than 50 years. That explained why the 75-year-old Mexican-American retired postal worker seemed perfectly comfortable at such a posh event. After all, he was invited there personally by an old war buddy. I just had to hear more, so I invited the man to lunch a few days later. There, he told me his story. And what a story it was. We’ve all heard about how Bush joined the Navy at 18, just six months after the Japanese attacked Pearl Harbor, and how he flew 50 bomber missions before his plane was shot down over the Pacific in September 1944. The young aviator parachuted out, landed in the ocean, paddled to a life raft that he inflated and flopped into, and then spent several hours drifting at sea until he was rescued by a U.S. Navy submarine. Gaylien — this man sitting before me — served with Bush from 1943 to 1945 aboard the USS San Jacinto in the South Pacific and flew bombing missions in the VT-51 squadron. Bush was a pilot in one plane, Gaylien a radio man and gunner in another. When Bush was shot down in 1944, Gaylien was one of the radio operators who called in the submarine rescue of the man who would be president. In all the many years that followed, Bush never forgot Gaylien. He would invite his old friend to special events like Bush’s 1988 presidential inauguration and reunions of the VT-51. While Bush served in Congress, and as CIA director, and as vice president, and as president — and now as a former president, the two men remained in touch. Bush saw to that, reaching out over the years. Time and again. The former president had personally invited him to the Phoenix fundraiser, leaving a comped ticket for him at the door. Then, as if to prove that everything he said was true, the man pulled out a scrapbook with photos of him and Bush taken throughout the years — including one with the two of them on the day they met, on that submarine, in the middle of the Pacific. I soaked up the story. And it gave me a new appreciation for the man we now celebrate — and a man, who as we have heard, cherished and nurtured his friendships. In the end, what does it matter that he was lost this race, or won that one? What counts is that this was a decent man with solid values who lived a good life filled with the love of family and friends. That is plenty to brag about. SAN DIEGO – Who’s afraid of Alexandria Ocasio-Cortez? A whole lot of Republican white men, it seems. I can smell the fear coming from Fox News host Tucker Carlson, radio host Rush Limbaugh, podcaster Ben Shapiro, and others. The latter often have good social skills. They tend to understand customer service. And they’re usually good listeners. It also turns out that some of them can have a lot of grit. Not bad for a Puerto-Rican kid from Brooklyn. Who could possibly have a beef with that version of the American Dream? Yet, as became clear during her recent trip to Capitol Hill for orientation meetings, she has already captured the public’s imagination. Tourists approached her for selfies. The media tracked her every move. She’s the toast of the town. Except with Republicans, especially white males. They want her to be toast. They constantly pick on her. They mock every misstep even though they overlooked similar blunders by Republican politicians they likely supported. Imagine people who probably voted for George W. Bush suddenly concerned about someone mangling the English language. Imagine folks who cheered Sarah Palin suddenly being worried that a freshman in Congress hasn’t mastered every policy issue. A lot of white males are already feeling squeezed out by immigration, trade deals, factory closings, university admissions, and all the rest. Ocasio-Cortez doesn’t follow tradition, wait her turn, or defer to elders. Her Democratic primary opponent, Joe Crowley, is 56-years-old and had every major endorsement in the district locked up. All those blessings, and a war chest full of money, was supposed to scare off his young challenger. It didn’t. And because the congresswoman-elect has youth on her side, she could spend many more years needling her opponents – in both parties. Pelosi and Clyburn are 78, while Democratic Whip Steny Hoyer is 79. That over-the-hill gang has spent a lot more time grumbling about Trump than grooming successors. That last one – knowing who you are – is a powerful weapon for any elected official, precisely because it doesn’t apply to many politicians. A lot of them seem to be whoever their consultants tell them to be. The best advice I ever got as a writer came in the fall of 1989. A few weeks earlier, at 22, I had published my first op-ed in a major newspaper — The Los Angeles Times. The advice had everything to do with the concept of power. And the person giving it was my friend and mentor, the essayist Richard Rodriguez. I was a senior at Harvard College, and I was talking to Richard on a pay phone (Google it, Millennials). Because it dealt with student life on campus for Mexican-Americans, the op-ed had ruffled feathers. And, as far as some of my Latino classmates were concerned, it hit a little too close to home. They didn’t hesitate to give me an earful about what they thought I’d gotten wrong. It wasn’t yet winter in Cambridge, but the chill in the air was unmistakable. My classmates said I should be more careful about what I wrote given that I had so much “power” to shape public opinion because of the forum I’d been given. On one level, I understood what they were saying. I knew that ideas, clearly communicated and properly conveyed, could influence the actions of others in ways that could help shape history. And, naturally, I was also familiar with the phrase, “the power of the pen.” I knew that the written word could be especially impactful and that it had often been used to hold accountable elected officials, law enforcement personnel, and other authority figures. Yet, power is a big word. And, at that moment, I didn’t feel so powerful — especially in light of the pummeling I was taking from my friends. So, I called my consigliere to ask what he thought. Rodriguez did me a huge favor in disabusing me of the notion that I had any power at all. He told me about a popular columnist in Tijuana who had developed quite a following writing about the Mexican drug cartels — right up to the point where they killed him. I never forgot those words. In the nearly 30 years since then, I’ve written and published more than 3 million words of my own. I’ve offended plenty. But, all along the way, I’ve never forgotten my friend’s observation about power. It has kept my feet on the ground, given me perspective, and preserved my common sense. It has kept me humble, kept me out of the arena, and kept me from becoming the story. It reminds me that one can’t make a living by expressing his opinion — and then turn around and deny others the right to express theirs. It has helped me become a better journalist, and — hopefully — a better person. Journalism — and the cheap substitute made up of cable news and talk radio — could use better people. Witness the hijinks of CNN’s Jim Acosta, who recently challenged President Trump over his immigration rhetoric and made himself the story. Or look at how Fox News’ Tucker Carlson makes a habit of belittling and insulting guests with whom he disagrees. When things go wrong in the world of media, it’s typically because someone thinks he has more power than he actually has or because whatever position he occupies went to his head. As a journalist, over the years, I’ve learned my limitations. I’ve struck out, backed the wrong horse, and been fooled by frauds. And those lessons have taught me the difference between thinking you have power and actually having it. Power isn’t about having a forum or standing on a soapbox. It’s about having the ability to impact others, influence behavior, and change outcomes. You can talk all you want, and write all you want. But if no one is hearing you, following you, or heeding your pleas, then you have no power. Not really. I have urged readers to reject racist immigration laws, vote against demagogues who exploit anxiety, and support common sense reforms that provide a path to legal status for the undocumented. In each case, those urgings were ignored. In the tug-of-war between good and evil, or between right or wrong, what is good and right does not always win out. Fear and racism are big obstacles to overcome. Still, I have to admit, I have accomplished one thing — over and over again, according to my readers. Sure, I’ve offended people. But, on occasion, I’ve also made people think. And yes, I suppose you could say there is power in that. But don’t get it confused. It’s not my power. It lies with my audience. It’s my job to explain a complicated world. And it’s their responsibility to take what I give them, mull it over, decide what needs doing, and act accordingly to make the world a better place. This Thanksgiving, as I ask my sister to pass the mashed potatoes, I’m going to worry less about being thankful and focus more on being grateful. Here’s how I see the difference: When someone opens a door for you, or answers your sneeze with a “God bless you,” you might say “Thank you.” Then you move on. You don’t spend all day feeling in debt for the gesture. Gratitude is something you feel deep inside, not just for one thing but for the quality of your life and the quantity of its blessings. Dictionary definitions boil down to this: Being thankful means you are pleased that something you hoped would happen has actually come to pass. Being grateful means you appreciate something done for you or something you have. I’d like to think I’m better at being grateful. And this would be fortunate for me because it’s hard to amount to anything in life if you don’t have gratitude. This simple concept could be the key to happiness, success and fulfillment. About a year ago, I was giving a speech to real estate and banking professionals and the conversation veered off to how we’re raising our children. A man in his 50s said that while he thinks he does a lot for his teenage kids, he wouldn’t mind it so much if they were able to do one thing for him. Good luck with that. My children are 5, 7 and 9. Just about every day, it seems, I’m lecturing them about how they need to be more grateful for the little things. So I began thinking that maybe gratitude has practical benefits. It could actually make us happier. And, last week, on impulse, I bought the current issue of Fortune. On the cover was someone I’m curious about: Tony Robbins. The story was about how the dynamic speaker and former infomercial pitchman has transformed himself into a highly effective and well-paid coach for CEOs. Robbins says that his companies have combined revenue of more than $5 billion a year. One of his secrets: According to the article, “Robbins takes 10 to 20 minutes a day to put himself in a positive state of mind” by focusing on one emotion. You guessed it. 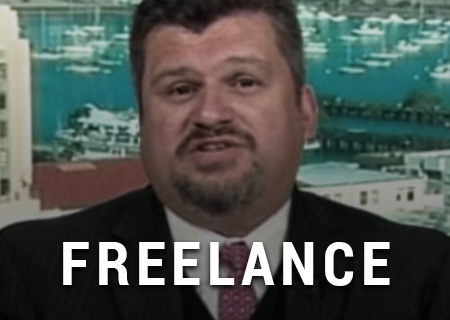 San Diego-based columnist Ruben Navarrette can be reached atruben@rubennavarrette.com. Trump promised a “big beautiful wall” on the U.S.-Mexico border that would keep out illegal immigrants and illegal drugs. But he misled his supporters into thinking that Mexico would pay for it. When Mexico took a hard pass, the wall got downsized to barbed wire and fence repairs. Last week, during a visit to the border near San Diego, Homeland Security Secretary Kirstjen Nielsen — who you’d think would have empathy for people looking for work since, according to media reports, she could soon be without a job herself — proudly surveyed the metal structures and declared her mission accomplished. Trump said early in his presidential campaign that any wall that his administration built would have a wide “door” to let immigrants come in legally. And, in recent weeks, he has repeatedly made the case that America welcomes legal immigration as a way to fill vacant jobs. Yet, by any measure, this administration has been extremely hostile to legal immigration. It pursues policies that would whittle it down to dangerously low levels, and punishes legal immigrants who have been forced to rely on public-assistance programs that they paid for with their taxes. Trump tried to gin up votes for Republicans in the midterm elections by making a big spectacle of dispatching 5,800 U.S. troops to the border. Supposedly, they were going to repel an approaching caravan of an estimated 8,000 to 10,000 migrants and refugees. The stunt didn’t work. Voters chose health care as their top issue over immigration. And, as soon as the election was over, Army Lt. Jeffrey Buchanan told Politico that the troops would be heading home in time for Christmas. As they leave, the troops can wave at the caravan, which has now started arriving in Tijuana. Finally, remember when Trump got the nativist right wing all worked up over a promise to scrap the 14th Amendment and end so-called birthright citizenship for the U.S.-born children of undocumented immigrants? Well, forget it. That was never a serious idea. That was just a cruel tease intended to manipulate the hardliners. According to The Washington Post, now that the midterms are done, White House officials are freely admitting that Trump has no plans at the moment to follow through with an executive order that would end birthright citizenship. 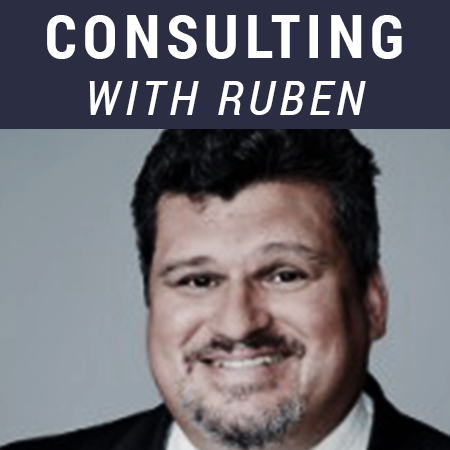 Navarrette’s email address is ruben@rubennavarrette.com. His daily podcast, “Navarrette Nation,” is available through every podcast app. To the victor goes the mayhem. Democrats in Congress are learning that lesson as they manage their way through hard feelings and even harder choices. It’s always more fun to lead the resistance than to actually have to lead. Sometimes the first decision is the toughest, like who holds the gavel. On Monday, 16 House Democrats signed a letter declaring that they would oppose Nancy Pelosi’s bid to serve as House speaker. The theme of the rebellion? One word: change. Remind me. What did Pelosi accomplish the first time around? She helped President Obama round up the Democratic votes to pass the Affordable Care Act, and that was no small thing. But hard-line liberals did not get everything they wanted from Obamacare, and Obama himself deserves much of the credit for last-minute arm-twisting. Pelosi took a pass on other major issues: immigration reform, entitlement reform and education reform to name just a few. It’s true that Pelosi is highly skilled in the only language that many members of Congress understand: fundraising. She is also the Democrat whom Republicans love to hate, which feeds the legend she is also the one they fear the most. Of course, some Democrats may look askance at Pelosi for snagging the not-so-coveted endorsement of President Trump — a blessing that isn’t so surprising when you consider that Trump was, up until a few years ago, a liberal Manhattan Democrat who had given Democrats lots of campaign contributions. According to some political observers, those contributions helped Democrats gain control of the House of Representatives in 2006 — which, of course, led to Pelosi being named speaker. But Pelosi’s backers could also argue that she is in the best position to forge compromises with the White House on common-ground issues, such as repairing America’s infrastructure. Pelosi’s defenders claim that those who say she shouldn’t be speaker can’t say why that is. Really? I can say. For one thing, it’s not about ageism or sexism — or any -ism, in fact. Under normal circumstances, the fact Pelosi is 78 might disqualify her. But, as you have probably noticed, these days, nothing about politics is normal. For Baby Boomers, the 70s are the new 40s. Republicans are rallying around a 72-year-old commander in chief. In 2020, Democrats might have to choose between a 73-year-old Hillary Clinton and a 78-year-old Joe Biden. Then, of course, you have those Pelosi supporters who can’t help but play the gender card and insist this latest rebellion is about men not wanting to answer to powerful women. But that argument works better when the glass ceiling is still intact; Pelosi shattered this one 11 years ago, when she became the first female House speaker. There are three better reasons as to why Pelosi shouldn’t reclaim the gavel.  Geography. She’s from San Francisco, California — a liberal city in a dark-blue state. She would do more to broaden her party’s appeal if she were from Saginaw, Michigan, or Marion, Ohio.  Novelty. Democrats have played this game before, and it didn’t end well. Pelosi had her turn at bat. Does she have new set of legislative priorities?  Consistency. Democrats say they brought into the process young people and minorities, and it would serve them well to elect leaders who reflect that diversity. Face it, congressional Democrats are a hot mess. And if they don’t choose better leaders from this point on, things will only get worse. Republicans recently chose Mitch McConnell to continue on as Senate Majority Leader. Meanwhile, Arizona voters elected Democrat Kyrsten Sinema to the U.S. Senate. It’s worth mentioning given that not so long ago, Sinema pulled a stunt like that back home. If such extreme bipartisan cooperation sounds crazy, then you’ve never covered Arizona politics. I was in the sandbox in the 1990s, when I wrote for the Arizona Republic. There, I covered the infancy of the modern immigration debate. And I still check in periodically — through friends, family, and sources — on the bizarre happenings in the Grand Canyon State. One of the stranger things happened nearly seven years ago when a group called Citizens for a Better Arizona launched an effort to recall Republican lawmaker Russell Pearce. He was the author of SB 1070, the state’s racist immigration law, and he was also the powerful president of the Arizona state senate. Pearce lost his recall election in November 2011. Soon thereafter, according to the Phoenix New Times, at a meeting of the local chapter of Progressive Democrats of America, Sinema — who was then an Arizona state senator — was asked by Latina activist Lilia Alvarez why she hadn’t supported the effort to recall Pearce. According to Alvarez, and several others in the room, Sinema gave what has to be one of the most ridiculous answers in the history of Arizona politics. 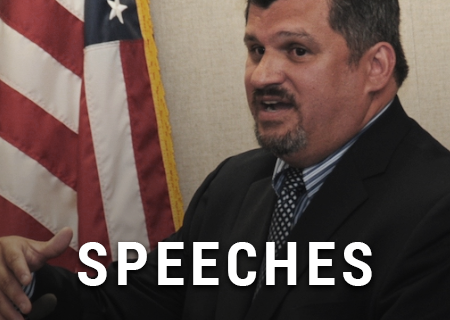 Something like: “Russell Pearce is my boss, and that’s why I couldn’t get involved.” According to the Huffington Post at the time, Sinema spokesman Rodd McLeod insisted that the Democrat did support the recall — just privately. He also claimed that her “boss” comment was taken out of context, and that she was merely trying to explain to the activists how the Senate worked. Sinema said much the same thing, doubling down on the claim that Pearce was the “boss” of the senate. Thus, Sinema wasn’t really being complicit in Pearce’s racist agenda. She was just being condescending as she tried to explain the workings of government to the great unwashed because — according to multiple sources — she always considers herself the smartest person in the room. Oh, that’s much better. As Senate president, Pearce did indeed set the agenda, and he did decide the fate of bills. But the idea that a Republican senate president is the “boss” of a Democratic senator is absurd. I’ve heard that Sinema condescension directly. A few years ago, when she was in the House of Representatives, I interviewed her and asked about her hardline stance on immigration enforcement. In Congress, Sinema co-sponsored a bill calling for regular border threat analysis of terrorism, smuggling and human trafficking. She supported Kate’s Law, which sprang out of the hysteria over so-called sanctuary cities and would have expanded prison sentences for illegal immigrants who re-enter the country after being deported. She voted for the SAFE Act, which made it more difficult for refugees to enter the United States. And she broke with other Democrats in opposing efforts to abolish Immigration and Customs Enforcement (ICE). At one point, in response to a question she didn’t like, she called me combative — and then ended the interview. As various activists in Phoenix have told me, she hates being challenged and doesn’t take criticism well. She illustrates perfectly the great mirage of the Arizona immigration debate. Supposedly white Democrats stick their necks out every day to defend Latino constituents against anti-immigration nativists. Sinema also doesn’t stick to her campaign promises. In July, while trying to win over conservatives, she told Politico that she wouldn’t support Chuck Schumer for Senate Minority Leader. This week, when Schumer was re-elected by acclamation, no one objected — including the Senator-elect from Arizona. We’d better get used to such maneuvers. Sinema looks out for Sinema. She’ll say what you want to hear, and then do what is best for her. In other words, when this one is sworn in and takes her seat in the Senate, she’ll fit right in. I’ve long said that, if there were a humility Olympics, my community of Mexican-Americans would show up and win all the medals. Notice I didn’t say “Mexicans.” That group would include not only downtrodden low-skilled immigrants living in the United States but also the snooty elitists who run Mexico City. The latter usually do not lack self-esteem. It’s Mexican-Americans — or, if it makes you feel less culturally threatened, Americans of Mexican descent — who have famously mastered the art of humility. We look down at our shoes. We downplay our successes. When something good happens to us, we don’t credit our own hard work or even the fickleness of good fortune. We look to the heavens and pay respects to a much greater power. Blame the insecurity and displacement that often comes from not being from either here or there, the ultimate personification of people without a country. 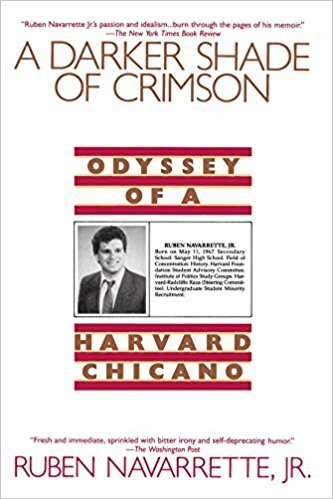 Blame the remnants of the blatant discrimination that occurred throughout much of the 20th century, especially in the Southwest, in which Mexican-Americans are indigenous. Regardless of where we got the humility gene, what is undeniable is that we have it in our DNA. But I’m not just a Mexican-American. I’m also a parent. And humility is one of the top five things I want to instill in my three children — alongside kindness, gratitude, helpfulness and thoughtfulness. In the end, those things will serve them better than ambition, intelligence, or pursuit of wealth and fame. I’m also a journalist. When I cover politicians, and look at how the media relate to them, a little humility can go a long way. There’s something appealing, refreshing, even charming about someone who has the goods — and either doesn’t know it, or doesn’t let on that he knows it. I think it comes from the fact that humility is such a rare commodity in a line of work where people constantly talk about themselves and all they plan to accomplish. Finally, I’m also a struggling Catholic. And I’m clear about how often humility is mentioned, or alluded to, in the Bible as something to which we should all aspire. Throughout the holy scripture, humility is honored and celebrated, while its polar opposite — pride — is viewed with suspicion and even disdain. It is much better, we are taught, to lower yourself before others than to try to raise yourself above them. Only then can we receive the grace of God. I have a friend who is one of the most successful people I know, and certainly one of the wealthiest. He got that way because, as he has told me many times, his parents raised him to never look up to anyone or down on anyone but to just look them in the eye. But we don’t just value humility in ourselves, in our children, in our elected officials, or even in our congregations. What I find interesting is that all that pales by comparison to how much we value it in our migrants and refugees. If humility is helpful to entering the kingdom of heaven, it is absolutely essential to entering the United States of America. A few days ago, as the first members of the Central American caravan reached Tijuana, I heard a talk radio host in San Diego say that the new arrivals should stop waving Honduran and Guatemalan flags. He said this would be a way of showing more “humility” and that this gesture would make it easier for Americans to welcome them. I agree 100 percent. It’s bad form, poor manners, and most of all faulty logic to wave the flag of one country while seeking refuge in another. Whether it is flag waving, the public protests in U.S. cities, or the demand for unconditional amnesty, the lack of humility I see in many refugees and migrants bothers me. I wonder: Could it be that the sense of entitlement that bothers so many Americans — particularly the young — can also be found in other parts of the world? Maybe it’s a global phenomenon. Yet, there is one important detail that I think the talk radio host missed: It’s hard to feel proud when you’ve lost absolutely everything. The very act of leaving one’s country to show up, uninvited and unannounced, and beg others to take you in is all about humility. As I winced my way through an uncomfortable confrontation at a televised White House news conference between President Trump and Jim Acosta, which resulted in CNN’s chief White House correspondent having his press credentials yanked, all I could think about was a 3×5-inch slip of scratch paper. On the call, the D.A. tried to rattle me by taking a personal shot. I was all set to fire back with a snarky comment of my own that was loaded and in the chamber. My boss — the editorial page editor — must have sensed what was coming. So, she hurried over to my desk and slid me a short note. I was. I took a deep breath, ignored the insult, and pressed ahead with the interview. It made for a good column. My boss didn’t want me to get in the mud with an elected official who was at home there. Even if he considered me his nemesis, I wasn’t supposed to view him the same way. My boss also wanted to remind me that I was on the job, and I had a duty not to hurt the newspaper’s reputation. It wasn’t the first time someone tried to get my goat, nor the last. Once, the campaign manager for a Democratic candidate for Texas governor got angry that I had special access to another Democrat — and fellow Mexican American — vying for the same job. The campaign manager thought I was showing favoritism to the Latino — which, by the way, as an opinion writer, was my prerogative. Yet, clearly intoxicated by white privilege, he threatened to drive to Dallas to have a talk with my publisher in the hopes of getting me fired. What could I do? I offered to pay for his gas. I’ve never forgiven my old boss for slipping me that note. But now, I understand why she did it. Since then, I’ve had a few run-ins with public officials — a George W. Bush Cabinet member, a Democratic congresswoman, etc. — where, during questioning about immigration, folks complained that I was being overly combative or argumentative. Upon reflection, maybe I was. That’s the job. Yet, in each case, I have to ask myself: Was I trying to get information, or just showing off? If the interaction was more about me than it was about them, then that’s a problem. Invariably, Acosta makes his interactions with Trump all about himself. The fact that the CNN reporter had his press credentials pulled — even if only temporarily — will surely feed the legend and perhaps add a couple of zeros to his speaking fee or a future book deal. Still, Acosta deserved the rebuke. He was arrogant, rude and sanctimonious. He was sent to cover the story, and he made himself the story. He was supposed to ask questions, but instead he tried to “challenge” the president about the refugee caravan. He asked several questions, instead of one. And when he got answers, he rejected them. He used up time that could have gone to his colleagues. He hogged the microphone, and — at his worst moment — wrestled for control of it with a White House intern, as if it were his own private property. Someone at CNN needs to slip this guy a note. He stopped being a journalist a while back, and his recent performance — and that’s the right word — at the White House demonstrates it. In the end, I don’t care much about how Acosta treated Trump. He has a job to do, and it involves questioning the powerful. I care more about how he treated his media colleagues, which is to say like he was the only reporter in the room — or, for that matter, on Planet Earth. Their deadlines and live shots were just as important as his. And I care most about how he treated that poor intern who learned the hard way that the most dangerous place to be in Washington is between Jim Acosta and a microphone.